Fifteen years ago KMVS began interacting with women in Abdasa and Mundra blocks, and observed that large number of women suffered from gender based violence particularly domestic violence and the incidence of suicide and unnatural deaths were the highest in these blocks compared to the rest of the district. The causative factors were the high incidence of dowry, alcoholism, patriarchal and feudal outlook of the communities which mandated and accepted violence on women. To address this issue, a Family Counseling Centre was started. Soon, it became clear that the centre must not only provide counseling services, but also legal support in some cases and linkages were thus established with organizations providing legal aid. 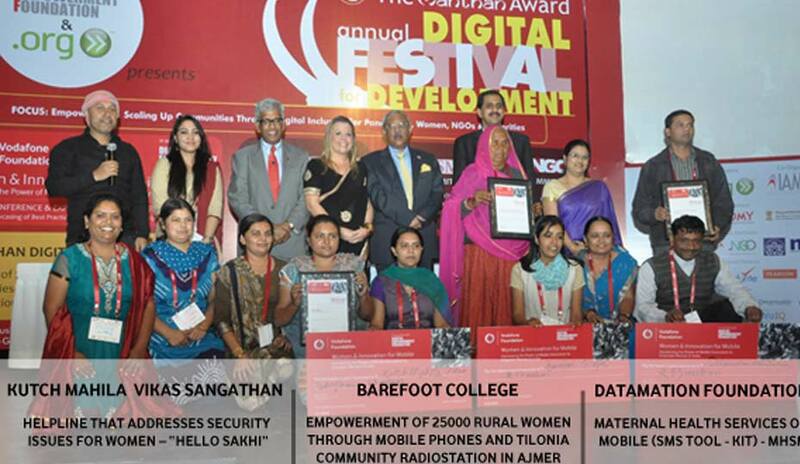 KMVS thus began a Socio-Legal Cell within its structure and continued to work on the socio-legal issues that came from the Sangathans (Community based organizations of women). The Socio-Legal Knowledge Centre of the organization has initiated counseling centers in each block- in total 4 blocks, where a team of counselor and advocates caters to cases coming from the community. The Centre, to date, has handled 871 cases for counseling and has built a cadre of approximately 200 women paralegal workers. In addition, it has held legal awareness camps, lok adalats and is trying to revive the local nyay panch system – incorporating the principles of social justice and equity. To expand the scope for creating securities against violence, the Centre has extended support to the issue of women’s ownership of assets (land and other property). A helpline “Hello Sakhi” has also been started in 2010 with joint efforts of Kutch police and KMVS. This helps provide 24×7 immediate response to women seeking support. It is the first attempt in the District at responding to issue of domestic violence by breaking the culture of silence and providing a space for the victims. The anonymity factor plays a critical role in building confidence of women who want to seek help without the fear of being ostracized, or further oppressed if her revelations are disclosed and more important does not lead to action.